As the shockwave continues to subside from the March 10 crash of a Boeing 737 MAX 8 in Ethiopia, carriers worldwide are coping with rescheduling flights on other aircraft types and dealing with stranded passengers. Meanwhile, the early stages of the investigation are focusing on the possibility that a conflict in the new aircraft’s control systems could be the cause. Ethiopian Airlines (EA) Flight 302 crashed minutes after taking off from Addis Ababa, bearing similarities to last October’s crash of a Lion Air MAX 8, which went down in the Java Sea off Indonesia’s coast. EA CEO Tewolde GebreMariam has said in a broadcast interview that the pilot had reported “flight control problems” and requested permission to return to the airport, which was granted just as the aircraft disappeared from air traffic control radar. Despite the lack of any problems showing up during a routine maintenance check, GebreMariam said that even though “speculation is not helpful,” the airline believes there were “substantial” similarities to the Lion Air flight profile, as indicated by a comparison of satellite-based flight data provided by Aireon. Ethiopian Transport Minister Dagmawit Moges said March 17 that preliminary information from the flight data recorder–which was taken to France for analysis–had indicated “a clear similarity” to the Lion Air data. Canadian Transport Minister Marc Garneau confirmed on March 13 that all Canadian-registered MAX 8s were being grounded immediately and that all foreign MAX 8 and MAX 9 aircraft would not be permitted to enter or transit Canadian airspace. He explained that his department’s analysis of satellite data on the two flights had indicated a possible conflict between airspeed and attitude indicators and the maneuvering characteristics augmentation system (MCAS). 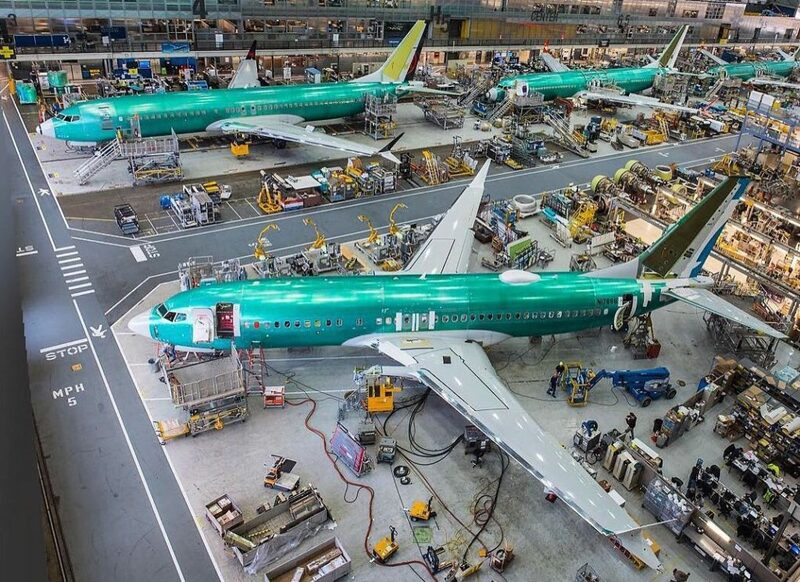 The Seattle Times has reported that not only did the Federal Aviation Administration (FAA) press its engineers to delegate wide responsibility for assessing 737 MAX safety to Boeing itself, but also that flaws were found in the safety analysis conducted on the aircraft’s new MCAS. The people who spoke to The Seattle Times and shared details of the 737 MAX safety analysis all spoke on condition of anonymity to protect their jobs at the FAA and other aviation organizations. The newspaper informed both Boeing and the FAA about the specifics of its story, which was in fact underway prior to the Ethiopian Airlines crash. The OEM and the regulator were asked for comment before the accident occurred, reported the news outlet. Assessed a failure of the system as one level below “catastrophic.” But even that “hazardous” danger level should have precluded activation of the system based on input from a single sensor–and yet that’s how it was designed. Only three Canadian carriers were directly affected by the March 13 grounding notice announced by Garneau: Air Canada, WestJet and Sunwing. None have confirmed whether they will seek compensation from Boeing. Air Canada’s 24 MAX 8s are part of a fleet of some 400 aircraft. They carried 9,000 to 12,000 passengers on 73 flights daily. On March 19, the airline said it had adjusted its schedule through to April 30 to cover 98 per cent of its planned flying. It plans to further remove the MAX aircraft from its schedule until at least July 1, 2019. The carrier was due to receive six new aircraft in March and April, but deliveries have now been suspended by Boeing. WestJet has 13 MAX 8s in its fleet of 175 aircraft. Of the more than 65,000 guests booked on MAX flights up to March 31, more than 85 per cent will have had little to no changes to their flight schedules, said the Calgary-based airline. Sunwing had grounded its four MAX 8s for reasons it only described as “commercial” before Garneau’s announcement, but rebooked its charter passengers on its earlier iterations of the 737.